October went very slow and I'm very happy about that. It was a busy month for me between three different work trips/events, friends' birthdays, homecoming, and much more -- October is always fun and November is going to be just as great. November is my birthday month and my favorite holiday: Thanksgiving. It will definitely be busy at work again-- I mean, I do work in retail (sort of) and it's the holiday season. Black Friday & Cyber Monday will be insane but I'm perfectly fine with it, as long as I can watch Christmas movies and sip on Gingerbread Lattes. Ugh, I love the fall & winter, I never want it to end. I'm already looking forward to next fall & winter--how insane is that? Anyways, I'm currently sitting on the couch watching Gilmore Girls with my Caramel Pumpkin Swirl Candle burning away and my throat is just as hot as the candle. Yes, I have Strep Throat for the 2nd time this year. My Halloween was spent watching back to back airings of Hocus Pocus and eating soup in bed. Today (Monday) is a sick day for me-- that's how much pain I'm in. Strep is the worst. 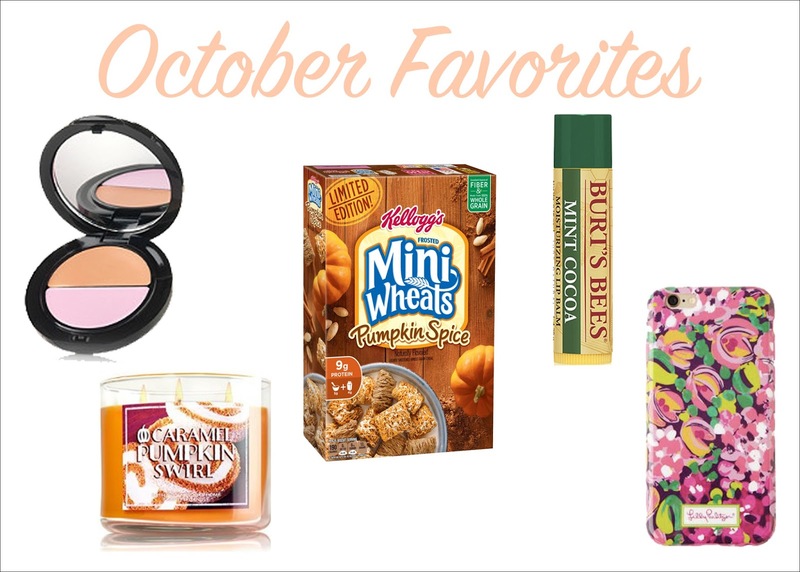 Enough about my sore throat, I loved a lot of stuff this month, as always, but Fall definitely brings out the best in me (and my favorites). //Boing Concealer + Eye Bright: I have been using this concealer every day, as mentioned in my 5 Minute Beauty Routine. 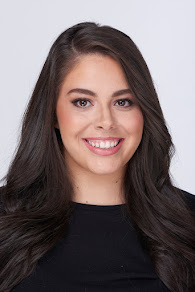 I have been wearing my 5 Minute Beauty Routine every day because I need my extra 15 minutes of sleep. It's a life saver and I will definitely buy this again when I run out (which will be soon). 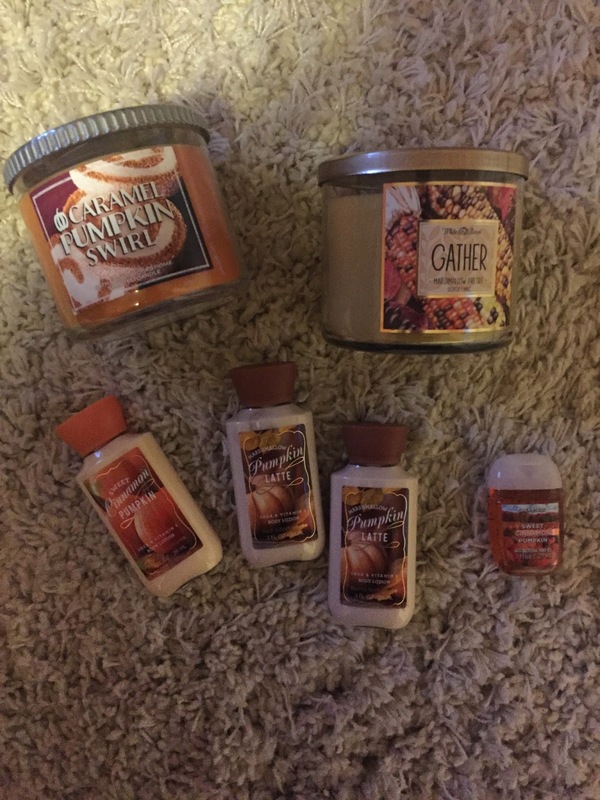 //Pumpkin Spice: Yes & yes, I am that basic betch who lives for pumpkin spice everything. Between baking pumpkin bread, Pumpkin Spice Mini Wheats, Pumpkin Spice Fudge Cookies, and the classic PSL, I've done nothing but obsess over the flavor. 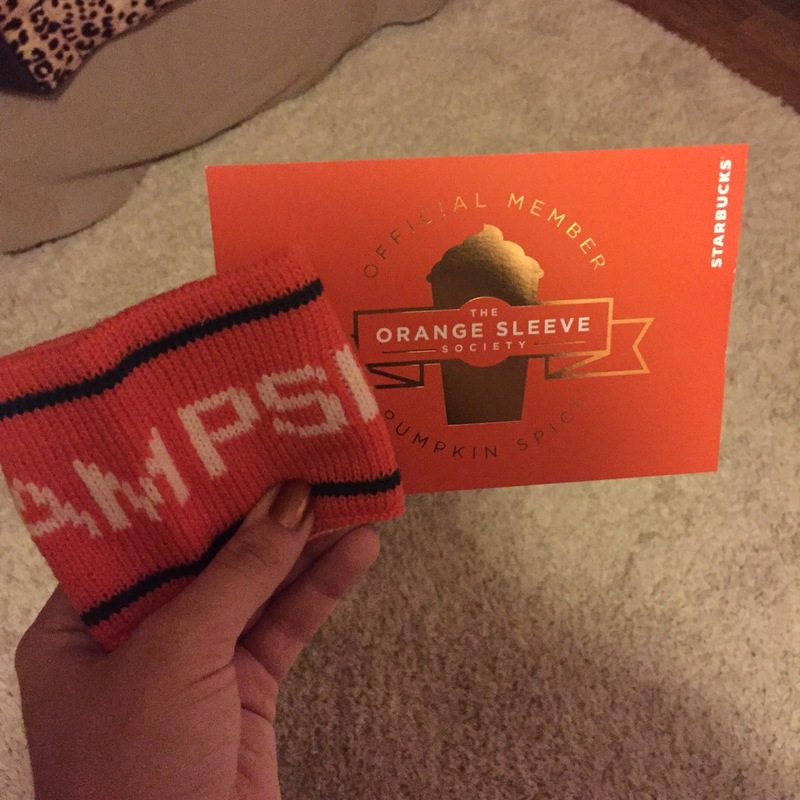 My basicness has reached a new level when I received my Team PSL Coffee Sleeve in the mail. People may mock me but I don't care! 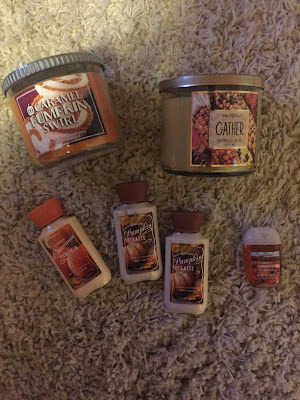 //Bath & Body Works: I made a trip there last weekend and bought the store out. Two candles, three lotions, and one Pocket-bac, which all play into the fall theme. I may be cheating since it's only been a week but I haven't stopped using any of these things. Everything smells so good and so seasonal, I can't get enough. The lotions are super moisturizing and don't leave my hands feeling greasy at all. I will for sure be going back to get some Christmas things! //Mint: There will be a full post on this app/website this week so I won't go into too much detail. Mint is a budgeting website and they also have an app which makes for easy access. You hook up all your accounts and credit cards onto it and it helps you stay on track with your money. I don't necessarily think it's helped me stay on track because I've gone over budget, but it's very, very handy. //Burts Bee's Mint Cocoa Lip Balm: It's the cold season again so that means that I am on the hunt for the perfect lip balm. This one is in the running for sure. I saw this limited edition scent in Rite Aid a few weeks ago and it sparked my interest. I never use Burts Bee's but I wanted the seasonal scent (do we see a pattern here?) and it turned out to be very soft, moisturizing and leaves my lips super smooth. I may have to try out a few other Burts Bees scents if this one is working out so well. //Lilly Pulitzer Phone Case: I went a little overboard with the shopping this month and this was a frivolous purchase I didn't need. Lilly had a special gift with purchase sale a few weeks ago where you could get a free sleeping mask with any purchase. I took advantage of the fact that I desperately wanted the sleeping mask and bought myself a new phone case. I wasn't a fan of the Wild Confetti print online but once I received it, I fell in love. This phone case has also sparked my love of Lilly again. Can we also talk about this Lilly loves NYC case? Too bad I'm on a no-buy November! I'll be doing a post on my No Buy November tomorrow because I really need to get my act together. I need to control myself and NOT BUY ANYTHING. What were your favorites this month? ?